When I was 17 my Dad asked me to go and buy him a car. To be clear he did not want me to pay for the car - he just really did not want to go through the pain of buying a car. I loved it. Off I went to the various car showrooms (this was 1990) and got sold to. It was a pretty linear buying experience - I expressed interest by walking in and looking interested, the salesperson qualified me by asking lots of questions (like are you wasting my time 17 year old), we developed rapport, he educated me with specs and details, the salesperson tried to create a little urgency (only one left, what about finance etc), we negotiated and once we got to an agreement I told him I would bring in my Dad and he'd buy the car (which he did). To be clear I had done some research but not much. I knew my Dad was more Peugeot, Rover and at a pinch BMW rather than Mercedes, Jaguar and Landrover. I knew what sized car he wanted and had a budget, but otherwise was very open to the salesperson giving me info. That meant the sales person was very much in control of his sales process - he was in control of the conversation. Compare that to now. If I were to go out and buy a car today I would use all the information I can easily find online to educate myself thoroughly. I would view specs and details from vendors, I would read lots of references and referals, I might reach out on social media to my friends and family and I would look at pricing around the country. 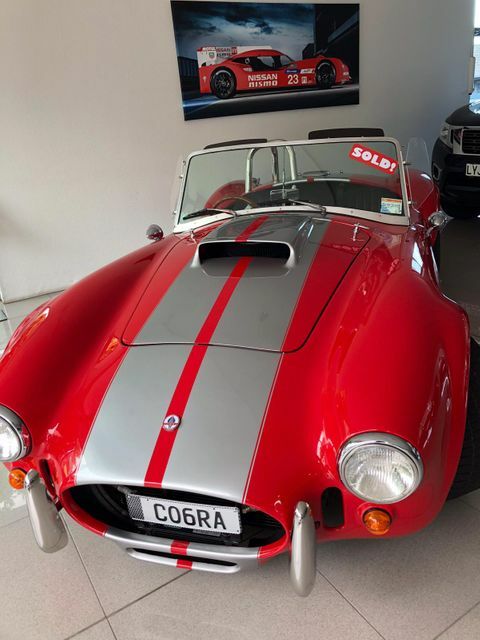 I would be very much in control of my buying process and if (and it is an if) I visited a car showroom and talked to a salesperson I would walk in and tell them exactly what spec, what colour, what add-ons, what entertainment etc I require and know to within probably £100 the price. All power to me. Very little to the salesperson. I would be in control of the conversation. I would have been in the buying process a long time before the salesperson knew about my demand. What has that got to do with B2B? Well, it is simply that in the B2B world the buyer is not telling us as early as they used to that they are looking for solutions. Buyers want to interact with us as vendors very much on their own terms and in their own time. We need to find ways to shape the conversation early on. As salespeople we cannot rely just on marketing - we must be involved ourselves. We must talk about the challenges of our clients and our clients' clients regularly so that it is obvious to our key prospects and clients who can provide services and solutions. Finally, it is important to remember the buying process is not linear - buyers don’t pass through the traditional awareness, interest, desire and action sequentially. We need to shape the conversation in any way we can - and make sure we do not stop shaping the conversation once they have bought. They could buy more and importantly are the most likely people to recommend us but need something to share so they can do this easily.